Puff Daddy might say that it’s all about the Benjamins, but I happen to know that it is, in fact, all about the garnish. It’s quite the accessory for this chili, don’t you think? It’s the polka dot tights to best party dress. P.S. I might’ve gotten three bottles of Cholula hot sauce for Christmas. I’m crazy about the stuff! Now you know. Condiments! This chili has me swooning. It’s Valentine worthy. It’s so flavorful! I might’ve added some chipotle smoked pepper making it SUPER spicy in a dreamy-good way. And the Greek yogurt’s creamy tartness balances the hell out of this. Let’s make chili, you guys! Let’s toast our dinner. Cheers! Garnish: Greek yogurt, avocado, hot sauce, scallions, or cheese! Heat the olive oil in a large pot over medium-high heat. Add the onion, bell pepper, garlic, along with 1/2 teaspoon of salt and pepper. Cook, stirring often, until softened, about 6-8 minutes. Add the spices and hot sauce and cook for one minute. Add beer and cook for 6-8 minutes, or until reduced by about half. Add the tomatoes (with their juices) and the beans (slightly drained) and about 1/4 teaspoon more of both salt and pepper. Bring to a boil and then lower to a simmer. Cook until thickened, about 25-30 minutes. Taste and season more as needed. Serve topped with Greek yogurt, avocado, hot sauce, scallions, or cheese! SHUT. UP. I’ve been craving chili for a couple weeks now. And avocado and sour cream or greek yogurt is a must. Also, brown rice doesn’t hurt anything. Yes! I was totally thinking that I should use brown rice to stretch this chili into so many days this week. Boom shaka laka. <3! Thank YOU for having massive skillz in the kitchen. I'd marry this chili. Just believe it! This looks so hearty. I’ve had beer with my chili, but never in it. I’ll definitely be making this this winter! Yeah girl! Beer in and with dinner! Heck yes, it is all about the garnish. Without the fresh spots of avocado, and spring onion, yoghurt or cheese, every bite is too same-same. Beer in the chilli – i like your style. The garnish is my BFF. Way to get it! let’s just toast this chilli like beer! Let’s have our chili in beer steins! Love this so much, warming and dark-the avocado looks ace with it! Especially liking the yellow dish! I’m VERY happy about your choice of Shiner in the chili. Yum. Cholula is the BEST. And Shiner Bock is my favorite beer! I love everything about this post! You just know what’s good! Toppings just make chili so much better! 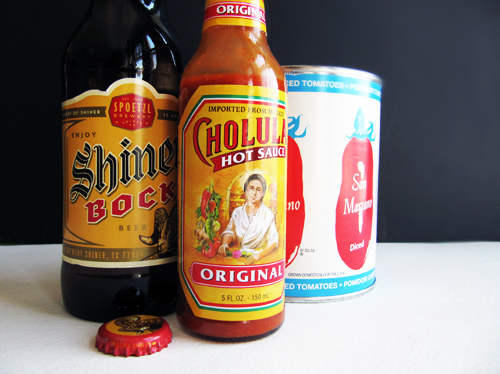 Cholula forever! We should probably get matching Cholula tattoos. ha! 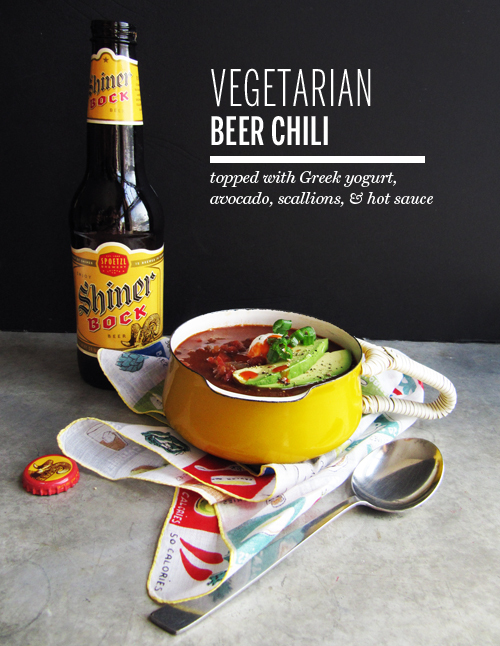 Oh man, I always ALWAYS make my veggie chili with Shiner. The regular goes great with beans and their Holiday cheer makes great barbecue. Yeah girl! You just know what’s up. WOW. 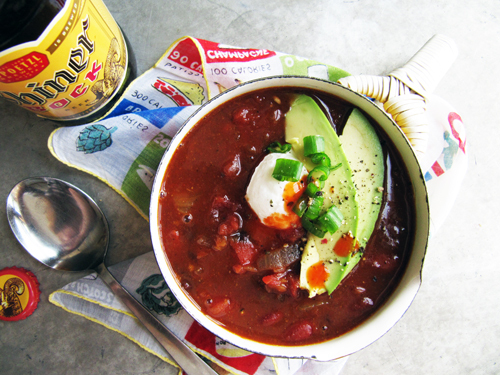 I love Chili anytime…this one with beer sounds super-yum! Great clicks!! Just… yum. 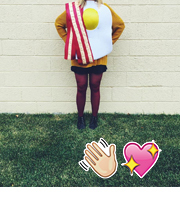 I’m all about the toppings…. they definitely make all the difference! Thanks so much for sharing this! Oh now, I never thought I’d swoon over something like chili, but bring on the smell salts, I’m going over! 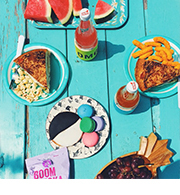 I love everything about this– the beer, the garnishes (only you can make chili look girly!) and the two types of beans. Absolutely lovely. This was so good! Usually veggie chills falls flat but this was delish. Will make again and again. The cinnamon (halved it), cumin, coriander and Shiner made this a winner!! I’m glad you like it! <3! On the ps: I served this with a lime-chili cornbread I made up. It totally jived with this whole meal. Best beer chili I’ve ever had! Plus it’s vegan.